Why Does Your Dentist in Westport Take X-Rays? You’re a very curious person, so after your last check-up with your dentist, you ask, “Why did you want to take x-rays? Were you looking for anything in particular? 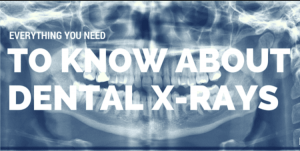 How do they help?” X-rays are one of the most basic and effective tools used by your dentist in Westport, and today we’re going to tell you a little more about why and how we use them to help you. It can be easy to think that everything going on with your teeth is visible to the naked eye. If you have a cavity, you’ll see a dark spot on your tooth, and if you have gum disease, they’ll look red and irritated. Where do x-rays play into this? Actually, a lot going on with your teeth happens below the gum line where the naked eye can’t see it. Cavities, for example, can actually penetrate deep into the root of a tooth, which may lead you to need a root canal. In order to know this is going on, we need to take an x-ray. In fact, by taking them regularly at your normal check-ups, we can often catch the problem before it becomes so advanced that it causes you pain. This is one of the main uses of x-rays: as a preventive measure. They enable your family dentist in Westport to spot issues before they can turn into much more serious ones. They are also an important part in coming up with treatment plans. A prime example of this involves your wisdom teeth. These are your third set of molars and usually start to come in around the ages of 17-21. For most people, they need to be removed before this happens. X-rays play an important role in helping us know the right time to extract them. They help us see if they are starting to come in crooked, crowd your teeth, or are becoming impacted. Rather than waiting for the problem to fully manifest, x-rays enable us to extract them before those things can happen. X-rays are also very important in monitoring the development of young children. They allow us to see their permanent teeth before they erupt. If we notice that they are having difficulty erupting, or are coming in crooked, x-rays give us more time to take conservative steps to fix it. Many people are concerned about the exposure to radiation that happens with x-rays. This is one of the reasons we only use digital x-rays in our office. They not only lessen your exposure to radiation by 80%, but also take much less time than traditional film-based x-rays. They are better for the environment as well, because this means our office does not need to use or dispose of the harmful chemicals used to develop traditional x-rays. All in all, x-rays help us keep you healthy as an entire person, as your oral health is a strong indicator of your overall health. By keeping a close eye on the inner workings of your smile, we’re able to save many patients from having to get invasive (and expensive) procedures in the future. We want to keep your visits to The Dental Center in Westport quick and easy just like you do, and x-rays play a big part in making that possible. . If you’d like to know more about how x-rays help us take care of your smile, please give us a call today. Comments Off on Why Does Your Dentist in Westport Take X-Rays?